Yes, Virginia, Tree Steward chapters range from the coastal areas of Virginia Beach and Gloucester, the midlands of Richmond and Charlottesville, into the mountains of Front Royal, Luray, Lynchburg Roanoke, and north into Loudon County, Fairfax County and our own Arlington & Alexandria! Fifty representatives of the eleven Virigina chapters spent September 27 and 28, 2011 under mature willow oaks at a retreat center near Richmond to exchange ideas and share our experiences. The Master Gardener program runs Peninsula and Loudon County Tree Stewards so they concentrate on educational efforts – but since Loudon County MG Tree Stewards assists homeowners to set up woodlots on five and ten acre yards, those of us from highly urbanized small yards felt great “land envy”! Trees Virginia assists the other chapters and encourages direct tree care as well as educational efforts. Lynchburg Tree Stewards work with their city arborist weekly to prune street trees and are considered her volunteers. We were proud that our chapter does both direct tree care and education. We were the only chapter reporting weekly Tree Information Tables during the summer at farmers markets, and the only chapter that helps get trees properly planted in people’s yards through work at native tree sales and free tree distributions. All of the chapters hold training classes of 40 – 50 hours for new Tree Steward volunteers, many only during the days but others are like us and offer evening classes. Charlottesville has branched out into 90 minute “Tree Basics for Homeowners” that are always filled to capacity. Richmond holds a huge Arbor Day Festival with tree climbing rides for children. Lynchburg provides training through the local garden clubs, who underwrite the purchase of tools and trees they plant on public lands. A representative from the Virginia Department of Forestry summed up our wide ranging activities with the perfect metaphor. We all know that tree monocultures are to be avoided and that diversity brings strength to a forest; diversity in Tree Steward chapters allows each group to meet the unique needs of its own area the same way. It was a fantastic time and our thanks to Tree Virginia and the Virginia Urban Forest Council that made it all possible. This entry was posted in Community Service, Education and tagged community, education, Tree Stewards, Virginia. Bookmark the permalink. 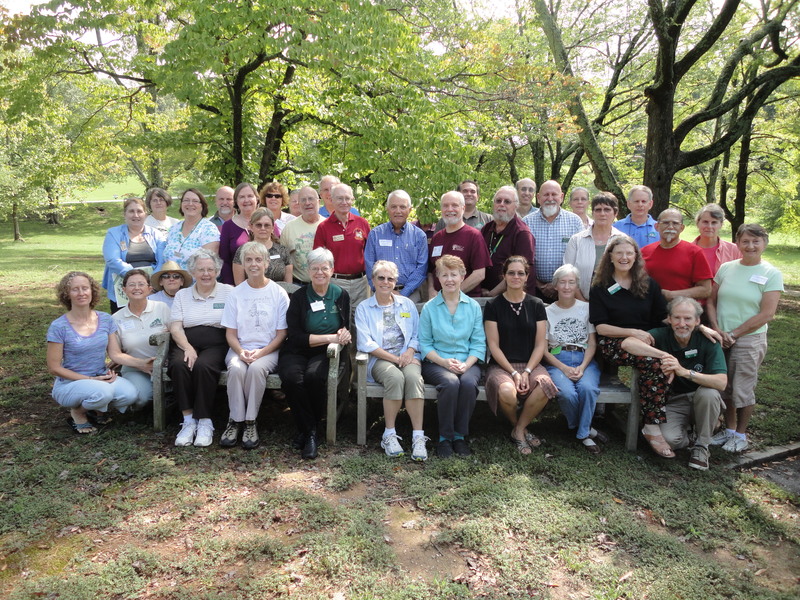 re: Nora’s excellent summary report (posted Oct. 2) “Virginia Tree Steward Groups: Strong & Diverse” on the two day Virginia-wide conference in Richmond of 50 reps from eleven Virginia T.S. groups. (1) Nora, Don Walsh, Karen DeCarlo and myself were the Arlington-Alexandria reps.
(2) Nora was terrific: an outstanding leader during the Conference – as the key-note presenter and, subsequently, source of frequent sage advice and comment. (4) Spent two days with some wonderful people from unfamiliar places (like Luray and Lynchberg, etc.,) all just great Tree Steward volunteers I’d sure like to meet them all again. For me, that was the best part.